Understanding your depression is a major step toward managing it. And, getting others to start understanding your depression can often be just as important. You need help. You need allies. Perhaps most crucially, you need an informed and educated support system. Begin with clearing up any confusion as to what depression is. Many if not most people associate sadness with depression. But sadness is a fundamental human emotion. 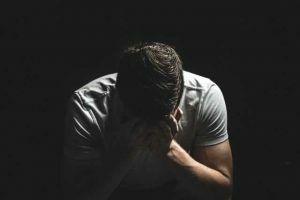 Major Depressive Disorder—the technical name for what is commonly referred to as “depression”—is a serious diagnosable condition. Put simply, sadness is a normal state in which we might temporarily dwell. Depression is an abnormal state that can be difficult to get out of. The key to others understanding your depression is for them to fully appreciate and respect its power. It’s not just a negative mood. Major Depressive Disorder is a mental illness. Consider six approaches of what you can say when explaining certain aspects of your depression to others. If I seem sad or unenthusiastic or just “off,” it’s not automatically a statement about you. If I’m upset with you, I’ll try to be specific. But almost every single time, my behavior and mood is an expression of dealing with my depression. I can’t just look at the bright side or snap out of it or think positive thoughts. If I were feeling blue, suggestions like that might—might—help. Being that I’m depressed, though, they feel invalidating and can lead me to self-blame. We may make plans, and I may ask to change them. It’s a challenge for me to follow-through. Knowing you’re willing to adjust and adapt is truly comforting to me. 4. What if it were a physical condition? If I told you I was diagnosed with a physical illness like cancer, how would you respond? You’d probably ask for more information about the condition and about what I need. You’d offer to drive me to appointments and you’d check in without judgment. All of that sounds really good right now. 5. I know I’m awesome! The pep talks are nice, but I already know I’m loved and have accomplished plenty and I’m just plain epic. I also know I’ve been diagnosed with Major Depressive Disorder. These two things can be and are true at the same time. What may appear minor to you could be a BIG step for me. We’re obviously all at different points in our lives, with unique personal perspectives. Depression adds to that reality and constantly shifts the goal posts. You probably have enough on your plate when dealing with your depression. Who has time and energy to focus on educating everyone else? If this sounds familiar, you need a teammate. You need a professional with experience and skills to guide you through what may feel like a maze. Working with an experienced psychologist is a proven path for those with Major Depressive Disorder. Your weekly sessions will cover a lot of ground. Part of that work can and must involve you better understanding your depression and being able to build a support system.